A draft strategy that a lot of owners have taken into practice over the past few years is that of the late-round quarterback. This strategy involves drafting your more demanded roster positions (RB and WR), a tight end, and partially (if not fully) drafting your bench, prior to selecting your quarterback. Those who have recently introduced themselves to Fantasy Football may find themselves scratching their head wondering why one wouldn't choose Aaron Rodgers in the first couple rounds since he's almost a shoo-in to finish as one of the top quarterbacks this year. While there is a good chance that this statement does become true, this draft strategy is about quarterback value later on in the draft, along with a more pressing need to fill-in the rest of your team. When it comes down to it, late round quarterback is about the QB's relative cost to acquire them at the draft position selected, versus another player at a different position. If you select the aforementioned Aaron Rodgers with the 30th overall pick in the draft, per current ADP, you're giving up the opportunity to invest in another high-quality wide receiver or running back. 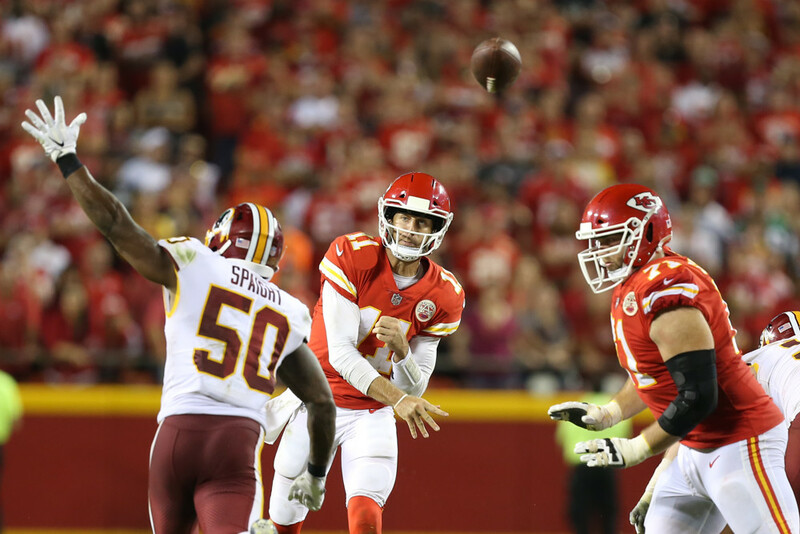 Around his ADP this season, players such as Derrius Guice, Tyreek Hill, and T.Y. Hilton would all be fine additions to your team to fill out your roster spots. Instead, if you choose Rodgers, this pushes you another round or two to fill the voids previously held and now are left considering Kenyan Drake, Josh Gordon, or Mark Ingram. Other than in 2 quarterback leagues, you must play multiple running backs and wide receivers, whereas only one quarterback can start each week, therefore increasing the demand needed each week at the other positions. If you can stack your starting roster/bench with studs from the draft and grab a quarterback later (think round 9 or later), then you'll be well on your way to starting the season on a good note, whereas other owners will need to scramble the waiver wire and hope an injury happens along the way for them to recoup lost value. The fantasy season can't necessarily be won at the draft, but it can set you far behind everyone else. Utilizing the late-round quarterback strategy is about forming the best team of running backs and wide receivers, which in turn mitigates some risk, due to the positional need. In case of injury or poor performance, you're not stuck with only one solid player at the position. You only need one quarterback, and if we snag one later on in the draft and it works out, fantastic. If the quarterback doesn't play as we had hoped, we have the waiver wire. This time, chances are your league mates will first be gunning for a running back or wide receiver, and you can focus your FAAB on a quarterback if one arises. Alex Smith. Carson Wentz. DeShaun Watson. Jared Goff. Blake Bortles? In many leagues, these quarterbacks were found on the waiver wire very early on in the year and paid immediate dividends for fantasy owners. Watson played lights out until his eventual injury early in this season, while Smith (QB4), Wentz (QB5), Goff (QB12) and Bortles (QB13) were serviceable every week, and far exceeded their ADP entering the season. Owners who spent their draft capital on the running back, wide receiver, and even tight end position found themselves in fantasy heaven after being able to pick up one of the aforementioned QBs, and that's if their late-round selection didn't turn out as planned. One of the most important things you can do while implementing this strategy is to know your league, especially its owners and their tendencies- this is great to take advantage of in home-leagues. Are they a fan of the Patriots and you know Brady will be gone in the first couple rounds, or a Falcon's fan who will draft Matt Ryan 5 rounds too early, just so he has him on his team? Use these pieces of information to your advantage come draft day and you can find yourself a solid QB that slips down into the later rounds.